Size 25 x 28 inches. 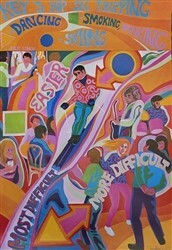 Colorful original by Terry Rose, signed and numbered (limited edition of 200). 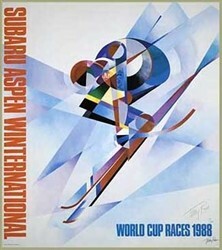 Celebrates the Aspen Subaru World Cup Races of 1988. 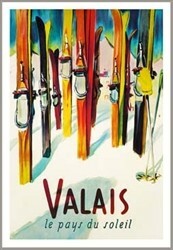 Incredible artwork for any collection.